...while the Aturan Empire claims to have built the Great Stone Road, any historian worth his salt knows this is patently untrue. 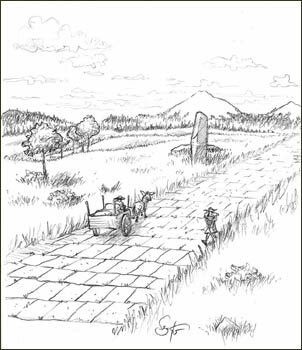 While at the peak of it's power, Atur certainly did much to improve the road, cobbling large sections of it, but old records clearly show the road existed long before Atur was an empire. 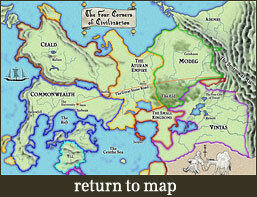 In fact, the road seems to have existed long before Atur was even a country, or there was even a city of that name. Truthfully, its origins are lost in the dim reaches of pre-history, and therefore speculation on that subject is better left to storytellers than any self-respecting historian.